Created 2012 by Frank Annighofer. 44x30x16 inches. Forged stainless steel, copper and brass. This forged sculpture was inspired by a photograph of Wild Horse taken by David F. Barry in the late 1800s. 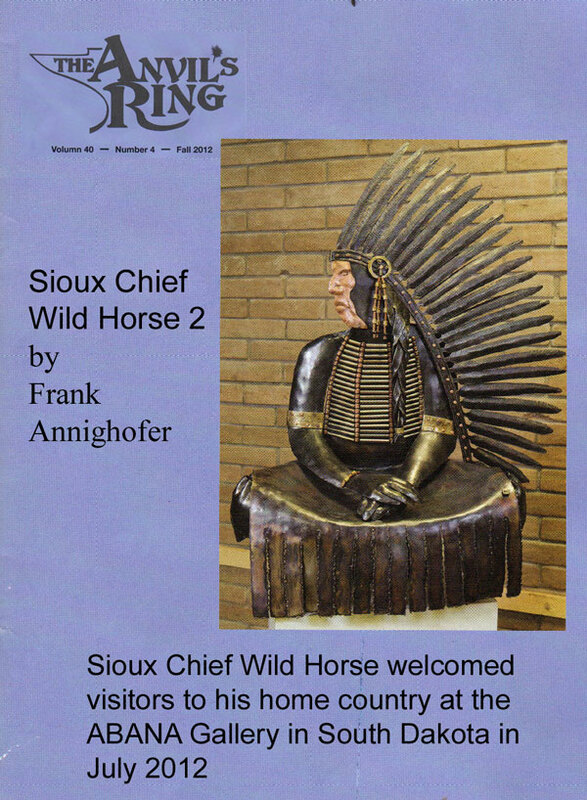 Sioux Chief Wild Horse was a brother of the better known Chief Crazy Horse. He was with the Ogalala Lakota and fought in the battle of the Little Big Horn. Barry’s photo captures a nice profile just illuminating the front half of his face. My sculpture design evolved from this face profile which I hammered out of a piece of copper. There is some more copper and brass in other parts but the main sculpture is made from unpolished stainless steel. 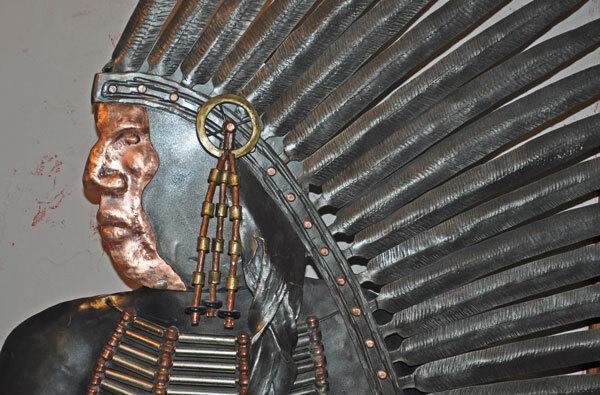 It was assembled with copper and steel rivets, the face being brazed on. 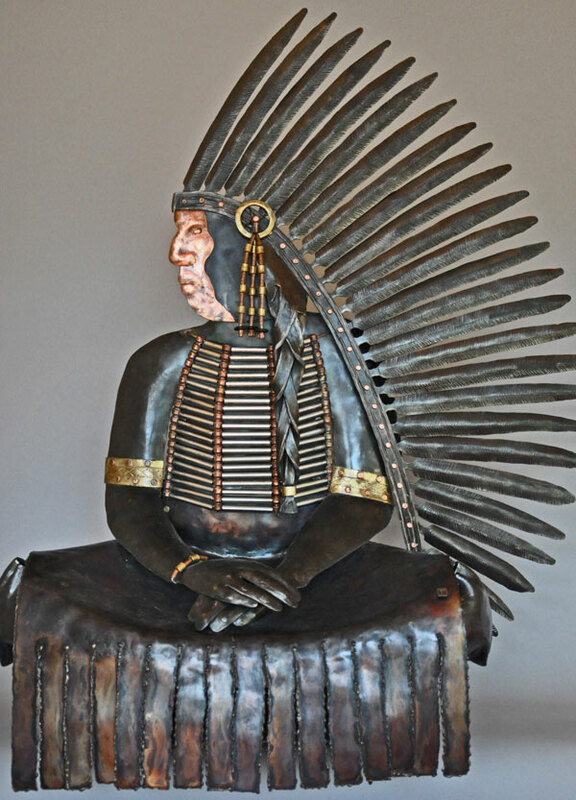 Chief Wild Horse was created for the ABANA (Artist Blacksmith Association of North America) Exhibition in South Dakota in July 2012 where he welcomed artist blacksmiths from around the world to his home country. It is featured in the Schiffer Art Bocck: Ironwork Today in 2014.